Its no secret that Budapest is my favorite city in the entire world. 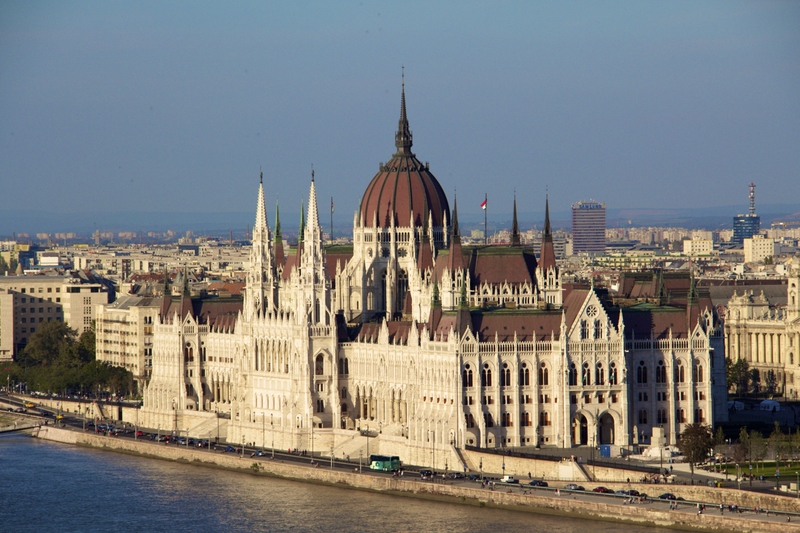 Brimming with trendy, tasty restaurants, great cultural and historical landmarks and tours, amazing bars and clubs, and a very picturesque downtown area, Budapest really gives the traveler the whole package. Its also extremely affordable, and you get a lot for your money! Whether you’d rather spend the day touring museums, eating your way through the city or relaxing at one of the many beautiful thermal spas, Budapest always has something great on offer, and you’ll find yourself wanting to come back again and again. Budapest offers a lot of free walking tours, hosted by the Free Walking Tour company (no surprise there). These tours are super high-value, and last for 2.5-3 hours each. They offer a city walking tour, a communism walking tour, a Jewish Quarter tour, a pub tour (which is apparently different from a pub crawl), and a variety of private paid tours as well. These tour guides work for tips only, so make sure to toss them a few thousand forint for their effort (1,000-2,000 ft or US$4-8 is an average tip, and a good bargain to boot). The guides are friendly, funny and extremely knowledgable, and their tours are both educational and interesting. The free tours start at Vorosmarty Ter, which is near the Jewish Quarter and the river and marks the end of the Yellow Line of the Metro. Going to the baths is an amazing way to spend a day. The baths offer a ft 4,000 (~US$16) day pass to go into the spas, though they will try and get you to take a tour for a much, much higher price (~US$40/day and upwards). These baths are beautiful, relaxing and you can choose whether you want to experience the outdoor baths, the indoor baths or both! You can also choose to add on massages or other services while you’re there, and its a great way to spend the day. Pair it with a nice walk around the surrounding park and you’ve got your morning/day sorted! Click through for source of image. Tons of boat companies offer cruises and tours along the river. 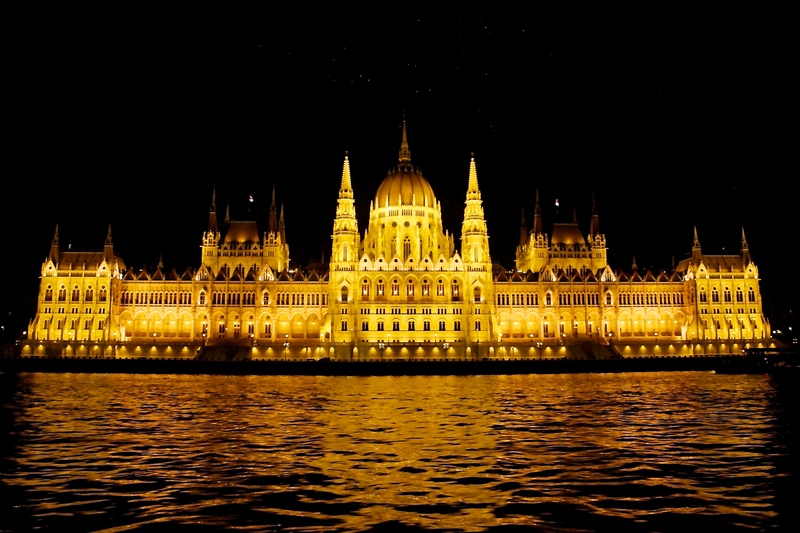 My personal favorites are the night cruises, where you can see Parliament and Buda Castle lit up at night. 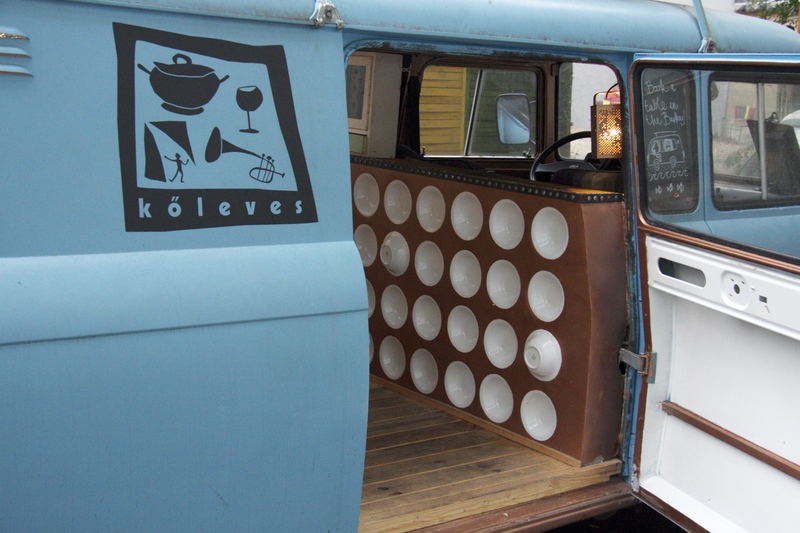 Most tours include a free drink. During the day time you can take a trip to the Margit Island, where you can go walking or biking. Your boat should come back to pick you up around an hour to an hour and a half later. Take an afternoon to go explore Castle Hill and the surrounding areas and you’ll be rewarded with stunning views of the city. There’s also an open-air exhibit about what Castle Hill looked like after the bombings during WWII, which you can take a casual stroll through free of cost. There’s a funicular that can take you up and down the hill, but there are also stairs, which are free and only take seven or so minutes to climb up.You can also take a look at Matthias Church, which has some pretty cool features and might be worth the entry fee. Hint: the views of Budapest from the pavilion by Matthias Church can’t be beaten, and you can see them for free! 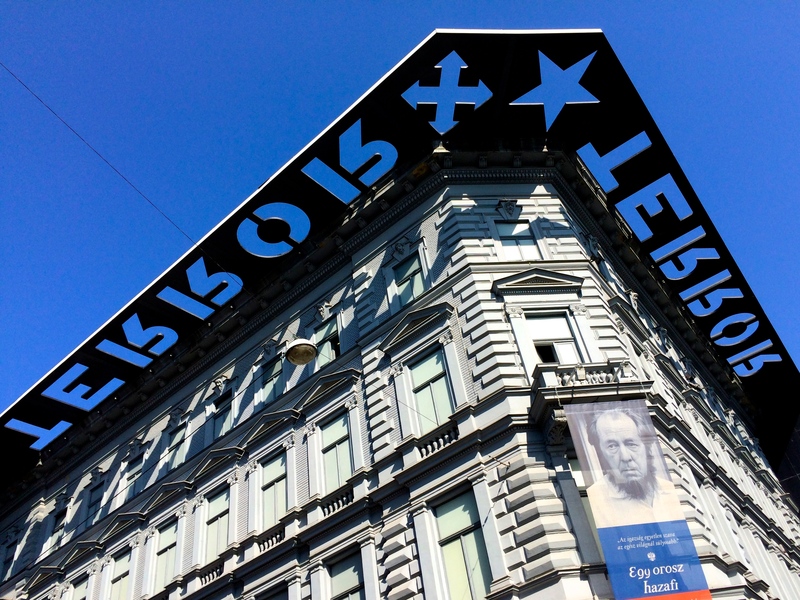 Free and open-air Heroes Square is one of Budapest’s must-see sites. 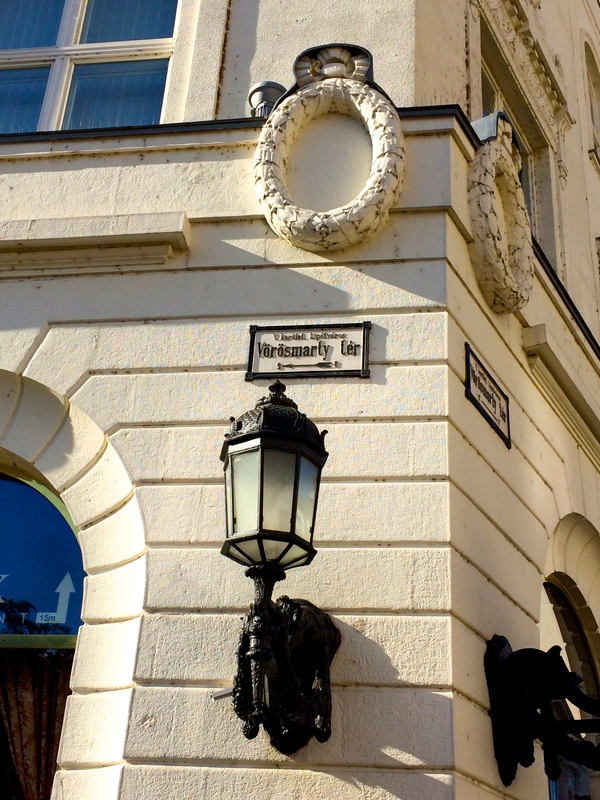 It sits at the end of Andrassy Boulevard, and can be seen on the way to the spas and the park. A moving museum about the history of Hungary during and after Nazi and Soviet occupation. Sobering and well worth the look, but sometimes a little bit difficult to follow for English speakers. A good activity for those who like caving, but not great if you’re claustrophobic or afraid of the dark. In Budapest, you can get Opera tickets for as little as $3, which is great if you’re on a budget but interested in getting a bit of culture. Other tickets can be more expensive, and if you really want a comfortable seat and a good view, its worth it to pay a little more for your ticket. The Budapest Zoo and Botanic Garden are a single item that are definitely worth a look if you have an extra morning or afternoon. It costs 2500 HUF, or US$10. There’s a lot of cool species in there, some of which I’d never even heard of before! Bonus feature: they have an Australian-themed petting zoo with wallabies and emus. The name of this site is essentially what it is, but the museum itself offers an in-depth look at what happened to Hungary’s Jewish population during the second world war and the Holocaust. Its a little far out on the Buda side of town, but worth a look if you’re interested. 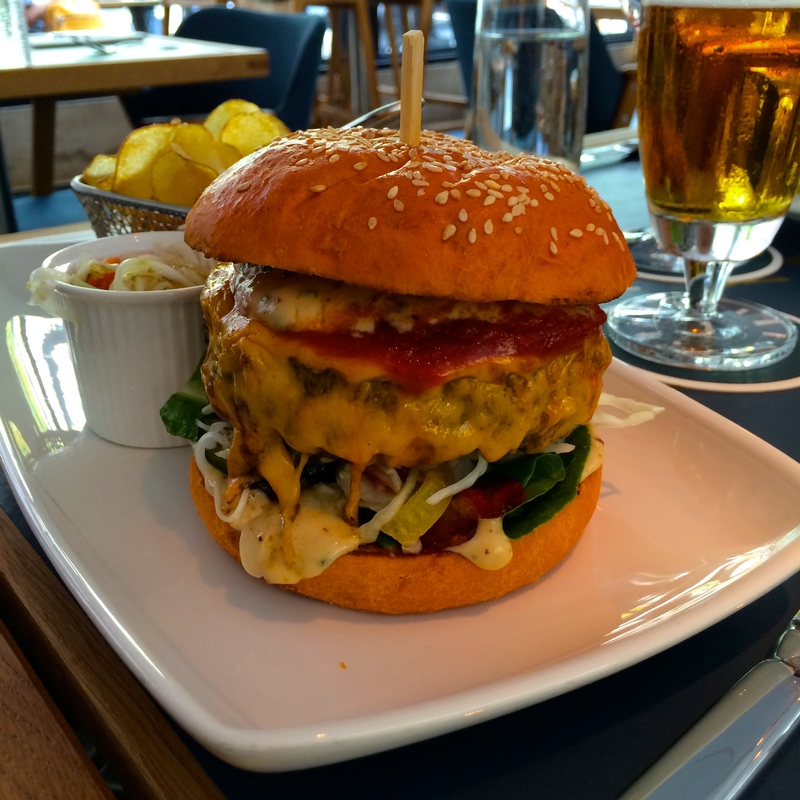 Eating in Budapest is always a treat, with hundreds of fantastic restaurants, food stalls and pubs to eat at. The city itself is multi-cultural and enjoys the gastronomical rewards. Authentic Hungarian food cooked in lard, The following are a few of my tried-and-true favorites, and will accommodate most tastes and dietary restrictions. KisParazs is a Hungarian-run Thai food restaurant with some of the best Thai food I’ve ever had, superseding even a good amount of the food I had while actually in Thailand. Fresh, flavorful and cheap, this is one of my favorite restaurants in the entire world. I recommend the Tom Kha Gai soup, which my dad claims is the “best he ever had,” as a starter, followed by any one of the curries. If you like spice, I’d recommend the Lap Gai (minced chicken salad). My go-to dish there is their rice-noodle soup with chicken or pork, and their peanut sauce for chicken sate is out of this world as well. Located in the Jewish District on Kazinczy Utca, this restaurant was an absolute gem! 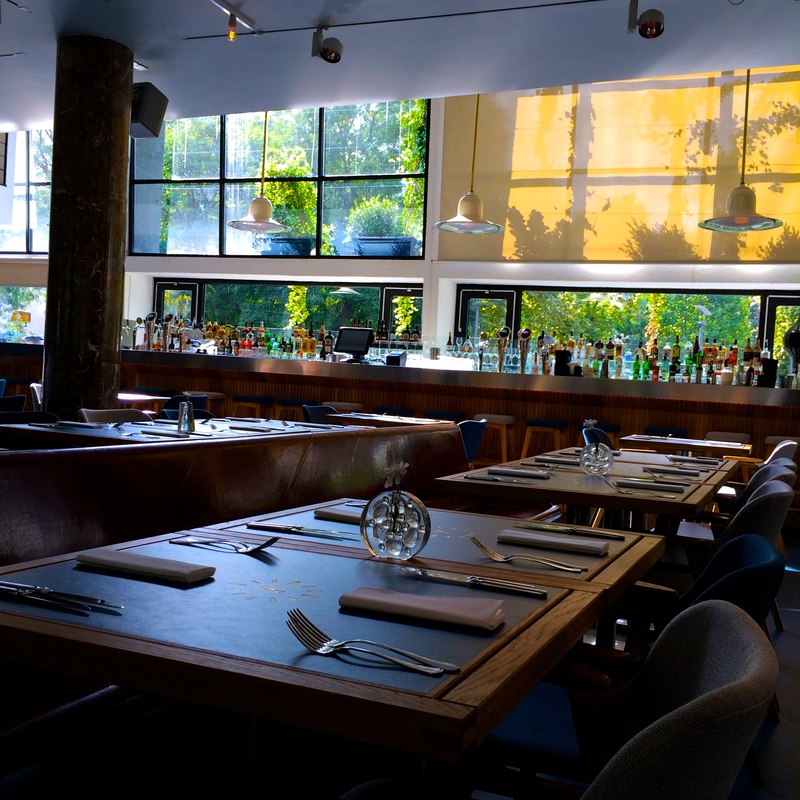 The interior sports a cozy vintage look, and the menu is smallish but jam-packed with gluten free, vegetarian and kosher-friendly options. The food itself is fantastic, starting with a complimentary basket of homemade bread with a garlicky spread. I can personally and wholeheartedly recommend the farm chicken with fresh sheep cheese and roast pepper salad, which also comes with potatoes (but I’d order the mashed potatoes instead, which are out of this world!). The portions are good-sized and I even had some to take home with me for lunch the next day. Another great choice, especially for lunch. Arriba has a variety of Chipotle-esque Mexican dishes, including taquitos, burritos, chips and salsa and quesadillas. They also have a margarita happy hour, which accompanies the food fabulously. The Central Market: The ground floor of the market has a variety of sausages, cheeses, fruits, vegetables, spices and sweets, and the top part has knick-knacks and some really tasty prepared food stalls. A good place to pick up ingredients for a picnic lunch! Located in Elizabeth Square/Park, Terminal now stands where a communist-era bus station once stood. The food is a little pricy, but was some of the best food we ate on our whole trip! I had the duck breast with quinoa and pomegranate beetroot, which I’d highly recommend, and had their sparkling rose wine as well, which was equally fantastic. They even had a gluten-free raspberry cake for dessert, which was right up my alley! For backpackers: I will always and forever recommend the Budapest Party Hostels. When I first came to Budapest in 2013, I’d booked four nights in at Retox Party Hostel and made myself at home. Two weeks later I was still there, and two months later I came back for more. The staff at the hostels are amazing, inclusive, informative and most definitely know how to have a good time. The hostels run events nightly, including pub crawls, party boats down the Danube, and spa parties at the beautiful Szechenyi Baths. Retox itself can be a little rough around the edges and very full-on when it comes to partying, but there are other hostels in the chain, including Grandio and Vitae, that may offer tamer experiences. If you’re not looking to go out at all, I’d suggest Wombats or somewhere a little more low-key. For non-backpackers: The 7Seasons apartments are a great choice for a stay in Budapest. The apartments are fairly spacious, and include full kitchens with dishwashers, ensuite bathrooms, an in-room washing machine, large, plush beds, fast and free wifi, and televisions, though we weren’t able to figure out how to get them to be dubbed into English instead of Hungarian. The apartments are conveniently located in the Jewish Quarter, a five minute walk from Erzsebet Ter, a 0-10 minute walk away from some amazing restaurants (including Köleves Vendéglö, which I talk about in more detail below), a 10 minute walk from the river and Chain Bridge, and short walks to many other attractions. Relatively inexpensive and a great value. There are literally hundreds or thousands of places to go out in Budapest, so I’ll just name a few of my favorites. Most of my going-out experiences were with Retox Party Hostel, and they definitely did things right! Ruin Bars: Szimpla is one of the bigger and better-known ruin bars in Budapest, but there are apparently more than 50 in total. You can do a ruin bar pub crawl with a group or simply create your own. 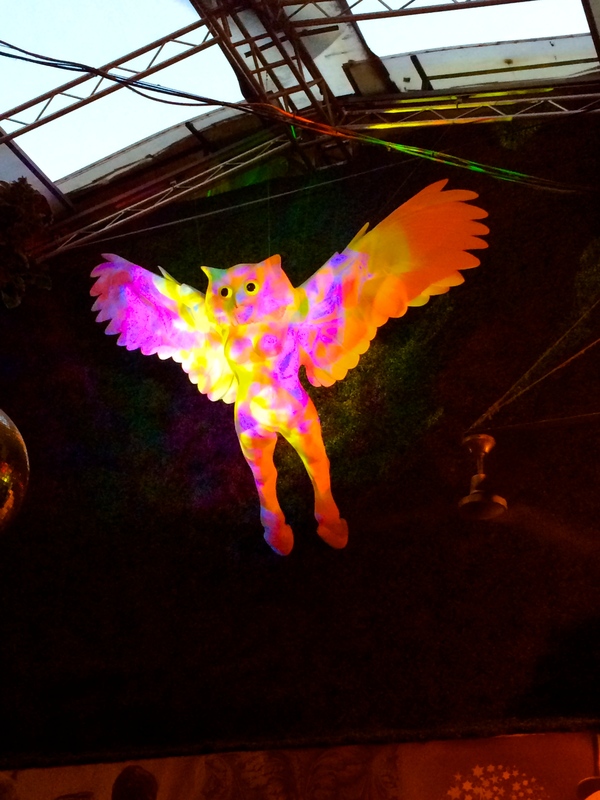 Another one of my favorite ruin bars is Instant, which is decorated with some out-there, funky art installations. 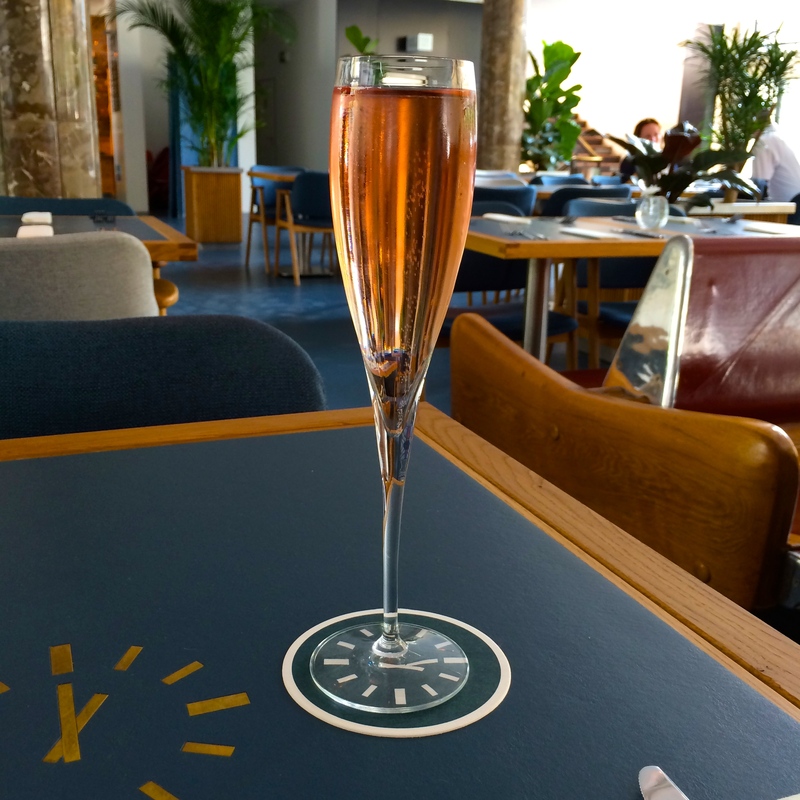 Akvarium Club: Located near Terminal in Elizabeth Ter (metro stop Deak Ter), this is a nice, retro-themed place to get a drink. You can sit outside on the stairs or inside if its cold, but its definitely a nice place to hang out. Retox Bar: Probably an obvious recommendation, but Retox has a nice bar, English-speaking bar staff, yummy cocktails and good prices. Corvin Tetö: A kind of generic club that usually does some pretty decent music. All in all not a bad night out, especially as it gets later! 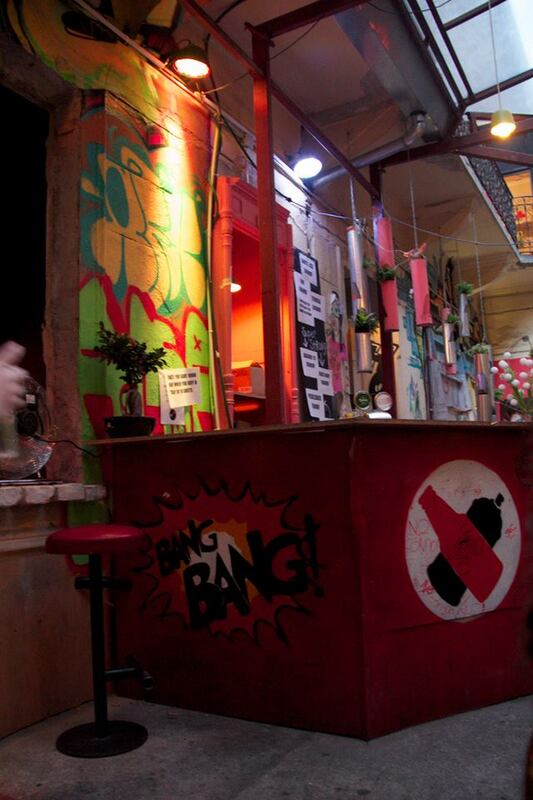 Vak Egar: A fun little bar/mini-club in the Jewish District. SPArty: The Szechneyi Baths host a spa party on Saturday nights in warm weather. Its like a massive pool party rave and its pretty unreal, definitely recommended for backpackers and young people! Party Boat: Cruise down the Danube with a bottle of champagne! Its a good time and an absolutely beautiful boat ride. Going out tip: this tip is probably more pertinent to men than woman, but I don’t judge! Strip clubs in Budapest are a massive scam; the girls will try to get you to buy them drinks, then will essentially have bouncers trap you in there until you pay them upwards of 50,000 HUF (US$200). Hungarian bouncers are not people to f**k with, so just stay away! Going out tip #2: On a similar theme, don’t be an a**hole. As I said before, Hungarian bouncers are not people you want to mess around with, and they will be firm with you if you’re being problematic. Going out tip #3: Be sure you know how to get home before you go out! Budapest can e a confusing city, so keep your wits about you enough to get home. Also, refrain from taking your valuables with you, as you likely won’t have them any more by the time you stumble home. Decoration at Instant Ruin Pub. 1. Budapest is a very safe city. All the same, it’s always a good idea to be aware of yourself and of your surroundings, so stay alert and you should be fine! As always, don’t keep phones or wallets in your back pocket and count your change carefully. 2. Taking public transport in Budapest makes traveling in the city a breeze, but it takes a little getting used to! If you have a big day planned, its best to buy a day pass instead of single tickets. A day pass (and the single tickets) are appropriate for any of the city’s public transportation units, including the metro, trams and busses. If using a single ticket, you will need a new ticket for every stop you make, and will need to validate a new ticket every time you make a stop or change trains/trams/busses. If you get a day pass you only need to validate it once, but be sure to keep it on you the entire time you’re traveling. You can get fined for not having a valid ticket, and it’s not a scam! 3. Watch your zeros! Any time you get a bill, make sure there’s the proper number of zeros at the end of the prices listed for your purchases. Adding zeros is a super sneaky way to get a lot more money out of you, and its an easy way to prevent being scammed. 4. Check your restaurant bills to see if service has been added. Customary tipping in Budapest is about 10%, and a lot of the time it will be added to the bill in advance. If it has, you do not need to tip extra. 5. Do the free walking tours! They’re super informative and the guides are all great. Just be sure to tip your guides at the end! 6. Eat in the Jewish Quarter. The food there is amazing and a little bit cheaper than some other more touristed areas. 7. Don’t cross the street on a red light! Always wait for the little green walker dude, he’ll save you from getting any pesky USD$50 fines. 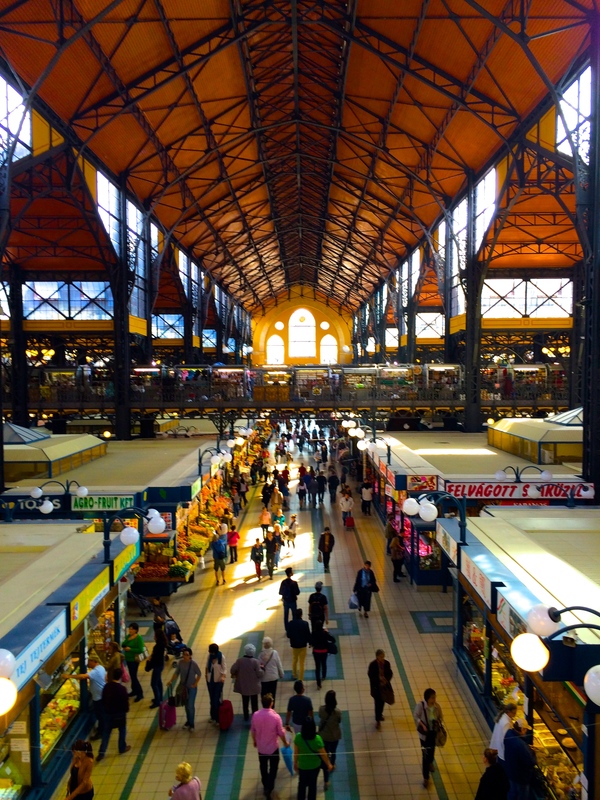 Hopefully this guide gave you some good basic information about what’s what in Budapest! These are obviously just recommendations, but I think they’re all pretty solid. I can personally attest to the awesomeness of all these things, and if you have any questions please fire away in the comments section! I’d be happy to help you out and hope that someday soon you’ll be enjoying Budapest, too!